Mr. Lavigne is vice president of Advanced Markets, Allianz Life Insurance Company of North America. Visit www.allianzlife.com. As a financial professional, you’ve likely spent much of your career helping clients navigate their assets, with a focus on accumulation to help them reach their goals, whether it is a new house, their children’s education, or the big one: retirement. But as people start to reach retirement age, the conversation should shift from accumulation to planning income streams in retirement. One crucial but often overlooked part of the retirement income stream is the required minimum distribution (RMD), which is the designated amount that clients have to withdraw from qualified retirement plans and arrangements, generally once they turn age 70 ½. 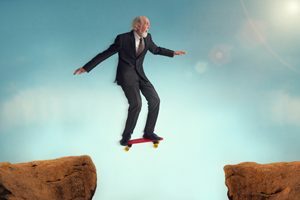 While a majority (88 percent) of high net worth consumers ages 65-75 are familiar with RMDs, that doesn’t mean they always know what to do with the funds, according to the recent Allianz Life RMD Options Study. This can be particularly challenging for the 80 percent of respondents who believe they will not need all of their RMDs for day-to-day living expenses. Should they spend it? Reinvest it? Gift it to charity? It all depends on their financial needs and goals. Further complicating the matter is that there are a number of different tax implications around RMDs. The vast majority (95 percent) of study respondents believe it is very important to reduce taxes in retirement, yet almost a third (32 percent) find it difficult to understand the impact RMDs might have on their taxes. The financial professional’s role is to help clients weigh their options, and with the guidance of a qualified tax advisor or attorney, help identify the potential tax impacts. Then, it’s crucial to build out an RMD strategy that outlines how and when they will withdraw the money within the RMD requirements, and then what to do with it. For the first calendar year when an RMD is required, generally the year a person turns age 70 ½, they are able to defer taking their first RMD, which means they won’t have to pay taxes on it until the following year’s taxes are due. But clients should keep in mind that each subsequent year, their RMD is due by December 31st, so clients will need to determine when to take each RMD. One big consideration to discuss with their tax advisor is if taking two RMD payments in one year could mean they may be bumped into a higher tax bracket and could end up paying more income taxes overall. Determining a plan for when to take RMDs can also help avoid accidentally missing a withdrawal, which can result in a hefty 50 percent excise tax on the amount of the RMD that was not distributed as required. For traditional, SEP and SIMPLE IRAs, RMDs start when the IRA owner reaches age 70 ½. Note that if you have a client that is still working at age 70 ½, they may not have to take the RMD from a 403(b) or a qualified plan, such as a 401(k), that is with their current employer until after they terminate employment. Also, be sure your clients know it is their responsibility to request distributions from one or more IRAs that will satisfy their RMD requirement for the IRAs. And while companies sponsoring employer retirement plans are responsible for distributing the RMD from the plan, the 50 percent excise tax applies to the plan participant if they do not receive the RMD. Once taxes on RMDs are paid, clients that fall into the category of not needing the money for everyday expenses have a choice as to what to do with the funds. While half of the study respondents said they are interested in leaving a significant portion of their savings to beneficiaries, older consumers (age 71-75) are even more likely to want to leave a legacy. This may be because they have already started taking RMDs, are realizing they don’t need the funds for day-to-day living, and have decided to leave the funds as part of their legacy. Work with clients to determine if they will need the funds for essential expenses, and if not, how they can use it to work toward their financial, investment, or legacy goals. Keep in mind that a majority (79 percent) wish they could use RMDs in a way that allows their portfolio to grow. Help them seek out potential solutions that help meet their desires for growth, but also offer a level of protection as they age and become more risk averse. Recently, both the U.S. House of Representatives and the Senate proposed bills to change rules on RMD withdrawals. In October 2018, the House passed its three pillars of “Tax Reform 2.0” which would have eliminated RMDs on accounts with $50,000 or less. Meanwhile, there is momentum to enact bipartisan legislation in the Senate, called the Retirement Enhancement Savings Act, which could be amended to include changes to RMDs before Congress adjourns in December or in the first quarter of next year. Additionally, on August 31st President Trump gave the Treasury Department six months to investigate raising the age when RMDs kick in. This means that there will likely be changes to RMD rules in the future, but what they are remains to be seen. Financial professionals should stay on top of any proposed rules, and the timing those rules may go into effect so they, along with the clients’ tax advisor or attorney, can provide proper guidance to clients who may be affected. RMDs have long been a source of confusion, with complex rules and intricacies that can have major financial implications if not managed well. However, the good news is that of those who work with a financial professional, 77 percent feel they have gotten good advice from them about managing their RMDs. Your guidance can help them make sense of the complexities, find appropriate solutions to help mitigate any negative tax implications, and make their RMD payout work toward their financial goals.